Papeles sueltos: Investigación artística en música problemas, métodos, paradigmas, experiencias y modelos. Investigación artística en música problemas, métodos, paradigmas, experiencias y modelos. problemas, métodos, paradigmas, experiencias y modelos. 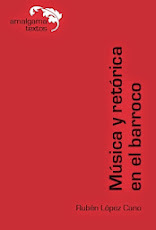 Libro online de descarga gratuita financiado por el Fondo para la Cultura y las Artes de México y la Escola Superior de Música de Catalunya, Esmuc (Barcelona). Disponible a partir de diciembre de 2014. AAVV. 2013a. Between Madness and Method. Third European Platform for Artistic Research in Music (EPARM). Program and abstracts. Lyon: AEC-Conservatoire national supérieur de musique et de danse de Lyon. ———. 2013b. Master Research Symposium. Program and abstracts. La Haya: Real Conservatorio de la Haya. Andrews, Richard. 2003. Research Questions. London; New York: Continuum. Arts and Humanities Research Board. s.f. «Guide to the Research Grant Scheme». http://www.ahrb.ac.uk/research/grant/guide.htm. Baers, Michael. 2011. «Inside the Box: Notes From Within the European Artistic Research Debate». e-flux, n.o 26. http://www.e-flux.com/journal/inside-the-box-notes-from-within-the-european-artistic-research-debate/. Barbour, Rosaline S. 2013. Los grupos de discusión en investigación cualitativa. Madrid: Morata. Bartleet, Brydie-Leigh, y Carolyn Ellis. 2009. Music Autoethnographies Making Autoethnography Sing: Making Music Personal. Bowen Hills, Qld. : Australian Academic Press. http://site.ebrary.com/id/10545986. Biggs, Michael, y Henrik Karlsson. 2011. The Routledge Companion to Research in Arts. Oxon & New York: Routledge. Borgdorff, Henk. 2006. The debate on research in the arts. Kunsthøgskolen y Bergen.http://www.ips.gu.se/digitalAssets/1322/1322713_the_debate_on_research_in_the_arts.pdf. ———. 2012. The Conflict of the Faculties. Leiden: Leiden University Press. ———. 2013. «A Brief Survey of Current Debates on the Concepts and Practices of Research in the Arts». En SHARE. Handbook for Artistic Research Education, editado por Mick Wilson y Schelte van Ruiten, 146-51. Amsterdam, Dublin, Gottenburg: SHARE Network. ———. «Artistic research within the fields of science». http://www.utbildning.gu.se/digitalAssets/1322/1322679_artistic-research-within-the-fields-of-science.pdf. Borgdorff, Henk, Johan A. Haarbe, Mick Wilson, y Schelte van Ruiten. 2013. «Research Assessment and Qualification Frameworks». En SHARE Handbook for Artistic Research Education, 230-39. Amsterdam, Dublin, Gottenburg: SHARE Network. Candy, Linda. 2006. «Practice Based Research: A Guide». CCS Report. Chenail, Ronald J. 2008. «“But is it research?”: A Review of Patricia Leavy’s Method Meets Art: Arts-Based Research Practice». The Weekly Qualitative Report 1 (2): 7-12. Easton, Leonore. Sf. «Rapport sur les méthodes utilisées en recherché artistique dans le domaine des arts de la scène». La Manufacture – Haute école de théâtre de Suisse roman de. Finley, Susan, J. Gary Knowles, y Ardra L. Cole. 2008. «Arts-based research». En Handbook of the Arts in Qualitative Research Perspectives, Methodologies, Examples, and Issues, 71-82. Los Angeles: Sage Publications. Fortin, Sylvie. 2006. «Apports possibles de l’ethnographie et de l’autoethnographie pour la recherche en pratique artistique». En La recherche création pour une compréhension de la recherche en pratique artistique, editado por Éric Le Coguiec y Pierre Gosselin, 97-109. Québec [Que. ]: Presses de l’Université du Québec. Frayling, Christopher. 1993a. «Research in art and design». Royal College of Art Research Papers 1 (1): 1-5. Frosch, J.D. 1999. «Dance ethnography». En Researching Dance: Evolving Modes of Inquiry, editado por S. Fraleigh y P. Hanstein. Pittsburgh: University of Pittsburgh. Gómez Muntané, Maricarmen. 2006. «Campos, temas y metodologías de la investigación relacionada con las artes: algunas relfexiones sobre el caso de la musicología.» EnBases para un debate sobre investigación artística, 73-86. Madrid: Ministerio de Educación y Ciencia. Green, Lelia. «Recognising practice-led research … at last!» http://www.pica.org.au/downloads/141/L_Green.pdf. Hannula, Mika, Juha Suoranta, y Tere Vadén. 2005. Artistic Research. Theories, Methods and Practices. Helsinki: Academy of Fine Arts. Harrison, Scott D. 2014. Research and Research Education in Music Performance and Pedagogy. http://dx.doi.org/10.1007/978-94-007-7435-3. Haseman, Brad. 2006. «A Manifesto for Performative Research». Media International Australia incorporating Culture and Policy, n.o 118: 98-106. Haseman, Brad, y Daniel Mafe. 2009. «Acquiring Know-How: Research Training for Practice-led Researchers». En Practice-Led Research, Research-Led Practice in the Creative Arts, editado por Hazel Smith y R. T. Dean, 211-28. Edinburgh: Edinburgh University Press. Hernández, Fernando. 2006. «Campos, temas y metodologías para la investigación relacionada con las artes». En Bases para un debate sobre investigación artística, 9-50. Madrid: Ministerio de Educación y Ciencia. Jørgensen, Harald. 2009. Research into Higher Music Education: An Overview from a Quality Improvement Perspective. Oslo: Novus Press. Kershaw, Baz, Lee Miller, Joanne ‘Bob’ Whalley, Rosemary Lee, y Niki Pollard. 2011. «Practice as Research: Transdisciplinary Innovation in Action p. 63.» En Research Methods in Theatre and Performance, editado por Helen Nicholson y Baz Kershaw, 63-85. Edinburgh: Edinburgh University Press. Kershaw, Baz, y Helen Nicholson. 2011. Research Methods in Theatre and Performance. Edinburgh: Edinburgh University Press. Knowles, J. Gary, y Ardra L Cole. 2008. Handbook of the Arts in Qualitative Research: Perspectives, Methodologies, Examples, and Issues. Los Angeles: Sage Publications. Kozel, Susan. 2007. Closer: Performance, Technologies, Phenomenology. Cambridge, Mass. 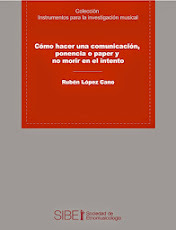 : MIT Press. Laurier, Diane, y Nathalie Lavoie. 2013. «Hors thème Le point de vue du chercheur-créateur sur la question méthodologique : une démarche allant de l’énonciation de ses représentations à sa compréhension». Recherches Qualitatives 32 (2): 294-319. Le Coguiec, Éric, y Pierre Gosselin. 2006. La recherche création pour une compréhension de la recherche en pratique artistique. Québec: Presses de l’Université du Québec. Leavy, Patricia Lina. 2009. Method Meets Art. New York: Guilford Press. 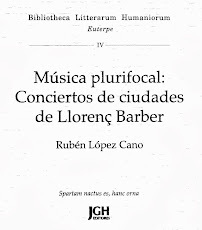 López-Cano, Rubén. 2012. «La recerca artística als conservatoris. Discussions, models i propostes». L’ESMuC digital. 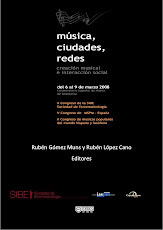 Revista de L’Escola Superior de Música de Catalunya.http://www.esmuc.cat/esmuc_digital/Esmuc-digital/Revistes/Numero-9-juny-2012/Espai-de-recerca/La-recerca-artistica-als-conservatoris. ———. 2013a. «Del proyecto final al trabajo final de grado. Tipos y estrategias básicas del trabajo escrito.» L’ESMuC digital. Revista de L’Escola Superior de Música de Catalunya. http://www.esmuc.cat/esmuc_digital/Esmuc-digital/Revistes/Numero-17-abril-2013/Article/Article. ———. 2013b. «Investigación artística. Grupo de trabajo de la red Polifonía». L’ESMuC digital. 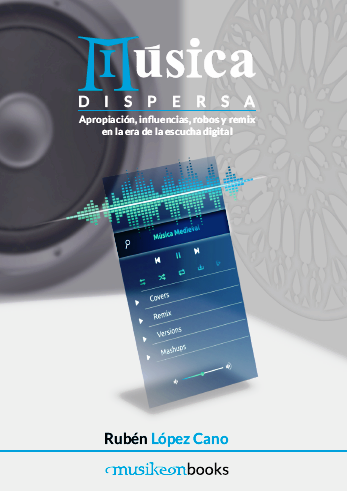 Revista de L’Escola Superior de Música de Catalunya.http://www.esmuc.cat/esmuc_digital/Esmuc-digital/Revistes/Numero-17-abril-2013/Espai-de-recerca/Investigacion-artistica. McKechnie, Shirley, y Catherine Stevens. 2009. «Knowledge Unspoken: Contemporary Dance and the Cycle of Practice-led Research, Basic and Applied Research, and Research-led Practice». En Practice-Led Research, Research-Led Practice in the Creative Arts, editado por Hazel Smith, y R. T. Dean, 84-103. Edinburgh: Edinburgh University Press. McNiff, Shaun. 2008. «Art-Based Research». En Handbook of the Arts in Qualitative Research Perspectives, Methodologies, Examples, and Issues, editado por J. Gary Knowles y Ardra L. Cole, 29-40. Los Angeles: Sage Publications. ———. 2013. Art as Research: Opportunities and Challenges. MusicExperiment21-ORCiM. 2013. «Experimentation versus Interpretation: Exploring New Paths in Music Performance in the 21st Century». En SHARE. Handbook for Artistic Research Education, 100-103. SHARE Network. Nelson, Robin. 2009. «Modes of Practice-as-Research Knowledge and their Place in the Academy.» En Practice-as-research in performance and screen, editado por Robin Nelson, 112-30. Palgrave Macmillian. ———. , ed. 2013. Practice as Research in the Arts: Principles, Protocols, Pedagogies, Resistances. London: Palgrave Macmillan. Rodriguez, Noelie, y Alan Ryave. 2002. Systematic Self-Observation. Thousand Oaks, Calif.: Sage. Rolling, James Haywood. 2013. Arts-Based Research. Nueva York: Peter Lang. San Cristóbal, Úrsula San, y Rubén López-Cano. 2013. «The short music video in early and classical music». L’ESMuC digital. Revista de L’Escola Superior de Música de Catalunya. http://www.esmuc.cat/esmuc_digital/Esmuc-digital/Revistes/Numero-23-desembre-2013/Espai-de-recerca . Smith, Hazel, y R. T Dean. 2009. Practice-Led Research, Research-Led Practice in the Creative Arts. Edinburgh: Edinburgh University Press. Suárez Quintero, Sandra. 2013. «De memorias, mujeres y retratos. La construcción de un repertorio fotográfico de un sistema familiar que se origina en Marquetalia, Caldas.» Tesis de la Maestría en Estudios Artísticos., Bogotá: Universidad Distrital Francisco José de Caldas. Teikmanis, Andris. 2013. «Typologies of research». En SHARE. Handbook for Artistic Research Education, editado por Mick Wilson y Schelte van Ruiten, 162-69. Amsterdam, Dublin, Gottenburg: SHARE Network. WERNER, FIEKE. 2014. «AEC PUBLICATIONs 2007». Accedido marzo 3.http://www.kulturskoleradet.no/upload/bruker/dokumenter/Dokumentarkiv/10_Forskning/2007_Polifonia_Literature_Study.PDF. Williamon, Aaron, y Daniela da Costa da Costa Coimbra. 2007. Theories, Methods, and Applications in Music: Proceedings of the International Symposium on Performance Science 2007. Utrecht: AEC. Williamon, Aaron, Darryl Edwards, y Lee Roy Bartel, ed. 2011. Models of Performance: Proceedings of the International Symposium on Performance Science 2011. Utrecht: AEC. Williamon, Aaron, y Werner Goebl, ed. 2013. Performing Together: Proceedings of the International Symposium on Performance Science 2013. Brussels: AEC. Williamon, Aaron, Sharman Pretty, y Ralph Buck, ed. 2009. Performing Excellence: Proceedings of the International Symposium on Performance Science 2009. Utrecht: AEC. Wilson, Mick, y Schelte van Ruiten. 2013a. «Pedagogical Model for Method Disclosure». En SHARE. Handbook for Artistic Research Education, 275-80. Amsterdam, Dublin, Gottenburg: SHARE Network. ———. , ed. 2013b. SHARE. Handbook for Artistic Research Education. Amsterdam, Dublin, Gottenburg: SHARE Network. ———. 2006. «El reto de la investigación artística y performativa». Eufonía 38: 87-94. ———. 2008. «Investigar desde el arte» marzo 17, Santa Cruz de Tenerife.